Manufacturing Day is the first Friday in October, and is a national showcase for the importance of manufacturing in the U.S. economy, giving American manufacturers the opportunity to show their products to the world. Americans continue to create new products and unlock new technologies that grow the economy, so Manufacturing Day celebrates those who proudly stand behind their goods and services, helping to revitalize American manufacturing. This will inspire young people to pursue careers in manufacturing and engineering, because today’s science, technology, engineering and math graduates will power the next chapter of American production and innovation. In 2015, the event will be celebrated on Friday, October 2, and Heyl & Patterson is proud to recognize our place and our brethren in the manufacturing industry. 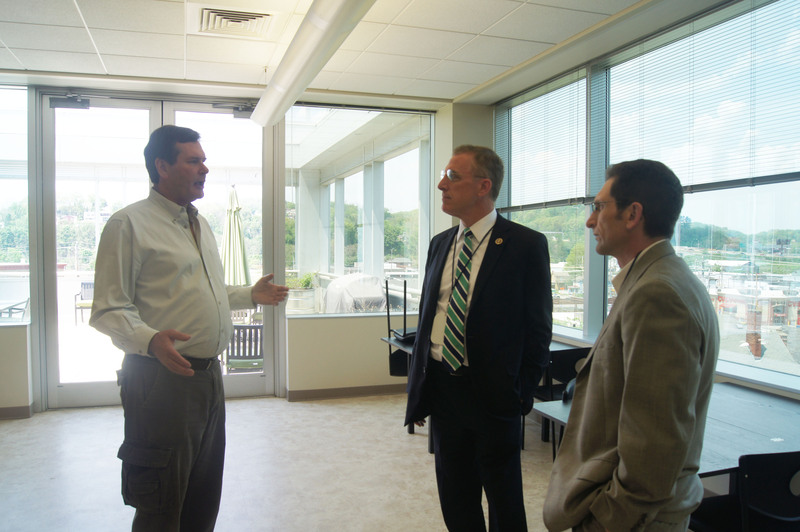 Heyl & Patterson played host to Congressman Tim Murphy (PA-18) and Carnegie, PA Mayor Jack Kobistek on Friday, May 8. They sat down with company president John Edelman and vice presidents Linda Wienand and Len Walnoha to discuss community involvement and the state of the energy and manufacturing industries, following a tour of the company's offices. 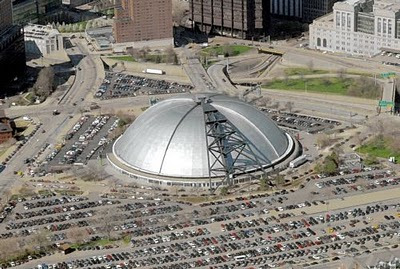 As a business in the energy industry, Heyl & Patterson is seen as an important player in Pittsburgh and the local region. 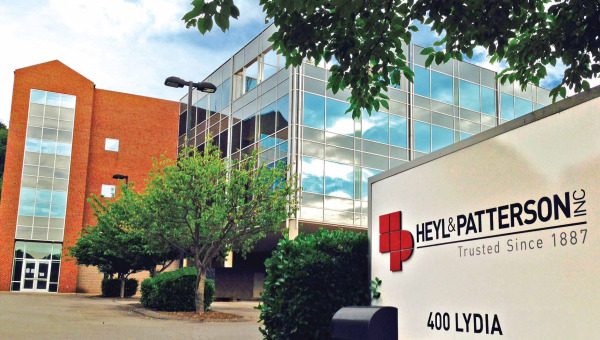 FOR IMMEDIATE RELEASE: Pittsburgh, PA – Heyl & Patterson Inc., a world leader in thermal processing and bulk materials handling equipment, today announced its relocation to a new base of operations at 400 Lydia Street in Carnegie, PA, in a move to accommodate growth. To mark the 125th anniversary of the founding of Heyl & Patterson Inc., the company held a event on October 6, 2012 at Phipps Conservatory in Pittsburgh. 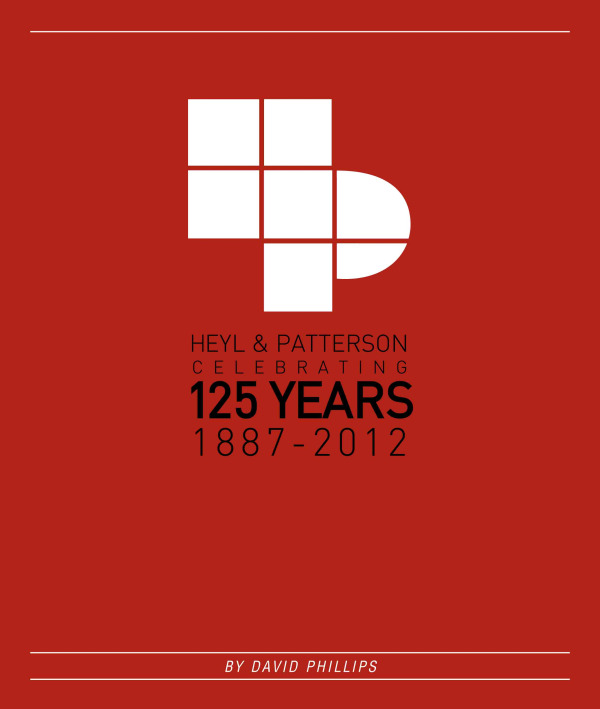 A company history book, “Heyl & Patterson: Celebrating 125 Years, 1887-2012” was presented to a group of more than 170 attendees, including employees, retirees, board members, customers and other special guests. Many amateur historians offered their insights, memories and artifacts so that this history of Heyl & Patterson could come to life. FOR IMMEDIATE RELEASE: Pittsburgh, PA – Heyl & Patterson Inc., a world leader in thermal processing and bulk materials handling, announced it has been ranked as one of the Best Places to Work in Western Pennsylvania in a survey conducted by the Pittsburgh Business Times. This was Heyl & Patterson's first nomination for the list, and the first time it was ranked. The world has changed incredibly since Heyl & Patterson was founded in 1887. The company has grown and changed across 14 decades, thanks to a heritage of innovation and the commitment of our employees. 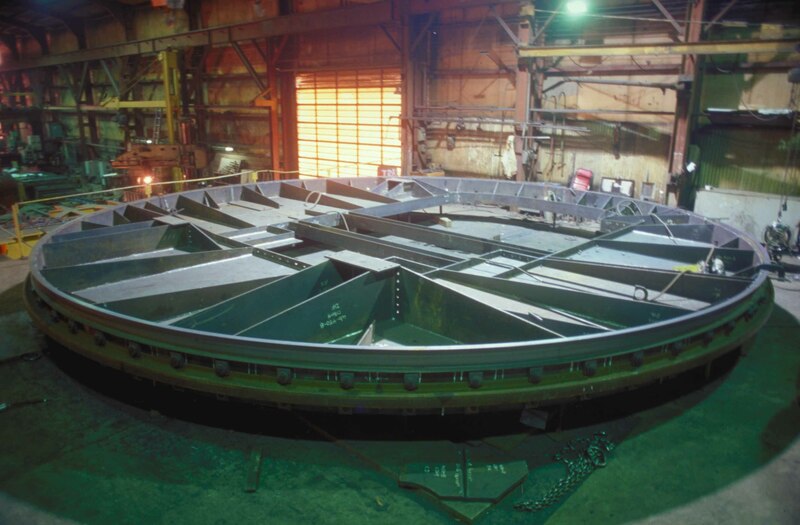 We invented several of the markets for our products and have continuously developed to improve our products to meet or exceed our customers’ needs. 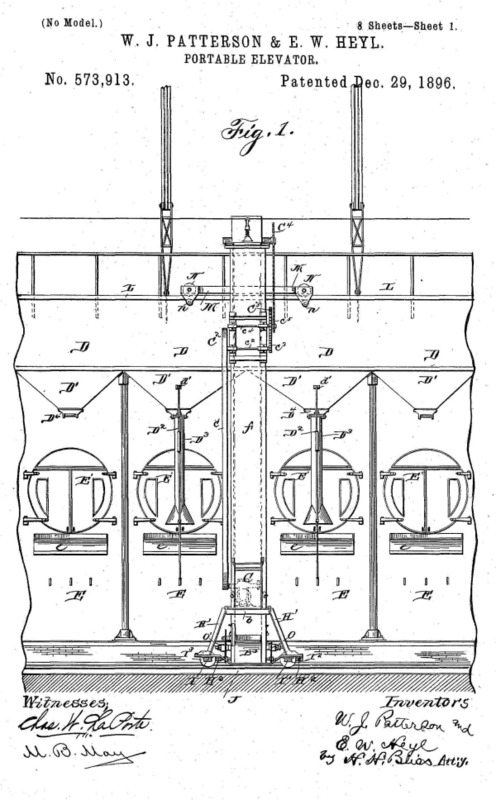 Heyl & Patterson holds over 100 patents for new products and improvements to existing machines. During World War II, the U.S. government utilized a system of production awards to acknowledge the efforts of manufacturing plants that provided much-needed materials for the war effort. 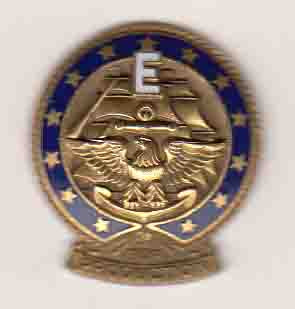 The Navy “E” Award was based on excellence in quality and quantity, overcoming production obstacles, fair labor standards, conserving critical and strategic materials, low absenteeism and effective management, among other considerations. An honor not easily won nor lightly bestowed, this wartime honor recognized companies that consistently met high standards with available resources. In August 1961, encyclopedia publisher Funk & Wagnalls received a letter from Frank Hatten of Delavan, Illinois, requesting an appropriate word to describe his town’s 125th anniversary. Two words that had previously been coined were "cenquadtennial" and "cent quart ennial," and Hatten was looking for a suggestion on which word might be preferable. A picture is worth a thousand words. This old adage, which originated as a Chinese proverb, refers to the notion that a complex idea can be conveyed in a single image. With the dawn of the Information Age, anyone has the ability to tell an infinite number of stories, to an infinite number of people. To help tell the story of our 125 years in business, Heyl & Patterson has launched the the H&P Flickr Account.